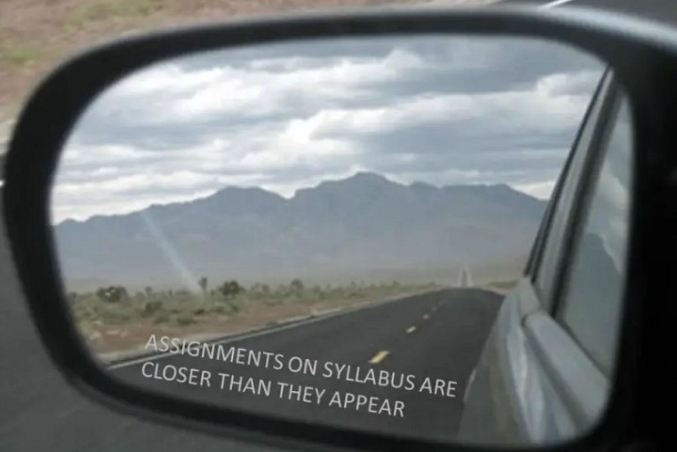 ah, it's that time of year again and the spring semester is upon us. my syllabus is updated and ready to go and i'm dreading the fact that my class roster is telling me that my class is over enrolled once again meaning that i have too many students signed up to take my class (with even more on a waiting list) and there's no way we'll ever get through all of their projects in the time allotted for the class. course caps are in place for a reason people, stop over enrolling classes! i had to laugh when i found this buzzfeed article this morning about clever professors. sometimes the students make us crazy. glad buzzfeed compiled these gems for a good laugh! i have been teaching the exact same course for the past 11 years now (yes, that's right, over a decade) and have managed to not go completely crazy yet. here we go, spring semester . . . fingers crossed for a good group of kids this go around! You got to have a sense of humor to teach today. Can't believe it has been 11 years.